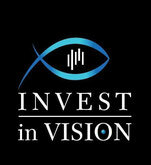 Moneymanagement - De website van invest-in-vision-blog! To me, moneymanagement is coupled to the profile and the level of a trader. A beginner starts to experiment, not knowing which plan to follow or without a plan. So first of all, after following a course about Technical Analysis, beginners need to practise and to understand a choosen strategy by using a simulationaccount. If you can't make money with papertrades you can never suceed with a real account. In my carreer as a trader I have learned that moneymanagement can be approximated in different ways. The more experienced a trader is, the more strategies he can use to manage his position(s). The basic rule is to choose a timeframe and to manage your money in the trend of your choosen frame. A beginner starts to trade the bigger pictures like daily and monthly charts. I use the 20 sma as my trendindicator. Longs above and shorts below the 20 sma. An advanced trader develops the skills to trade and to manage his positions in a 60' and a 3' timeframe. It is possible to trade with a lot of money and high leverage in a short period using a STOP but it is also possible to start small and to add if necessary in a bigger timeframe always respecting the trend of course.